I am a Mexican artist from Monterrey. 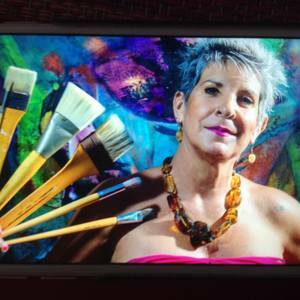 I have been painting since 1998 and I now live in Playa Del Carmen on the Caribbean Coast. I specialise in abstract art with an emphasis on texture and emerging form. My abstracts are completely original, and have been described as having a powerful and fresh expression, manifesting an ethereal atmosphere. I hope to transmit my human nature.